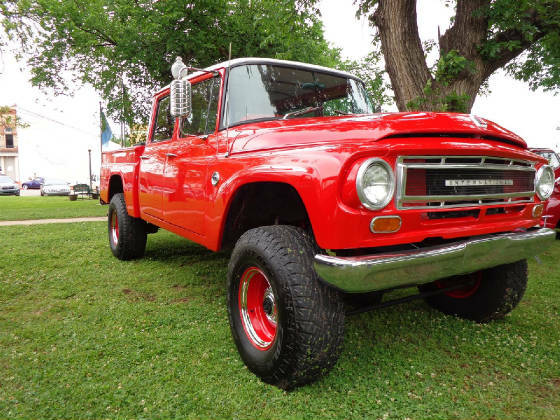 This month’s Great Oklahoma Classic is a highly mechanically modified but very original looking 1967 International Harvester Travelette truck that belongs to Royce Stephens of Stillwater Oklahoma. Royce had this outstanding Travelette truck on display at the annual Hops Car, Truck and Motorcycle Show held on the historic square in downtown Perry Oklahoma. This was the first time I have seen a Travelette IH and the quality build of this beauty was an eye catcher. Royce says his truck was originally sold in Wichita Kansas to a private party which was unusual because most were sold to the railroad or to the Air Force. 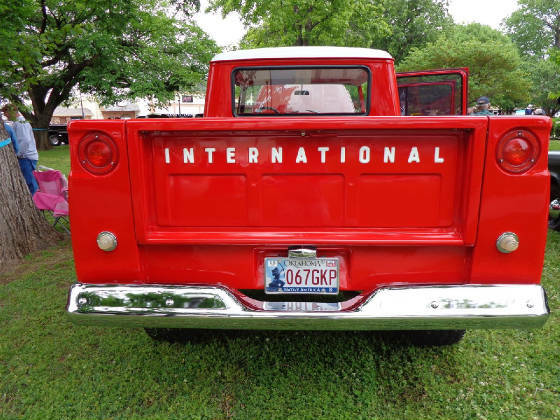 International Harvester made the first factory built “Crew Cab” in 1957, which were three door models until 1960. 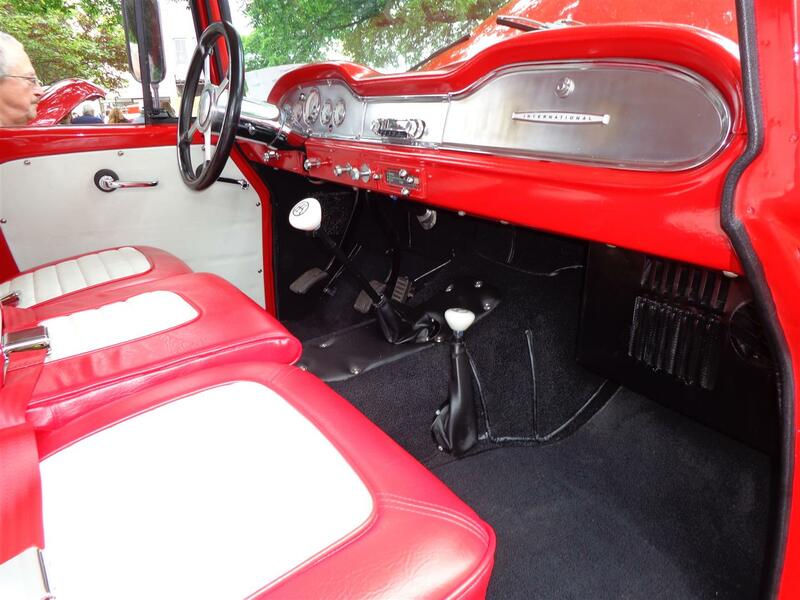 The 1961’s were the first four doors and this body style was continued until 1968. 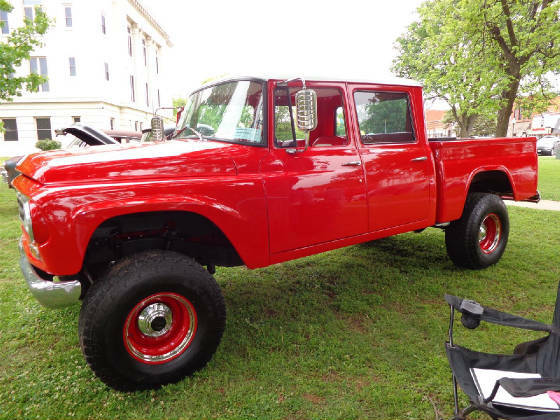 This truck was an original V8 which was a 345 cubic inch with a four speed manual transmission. 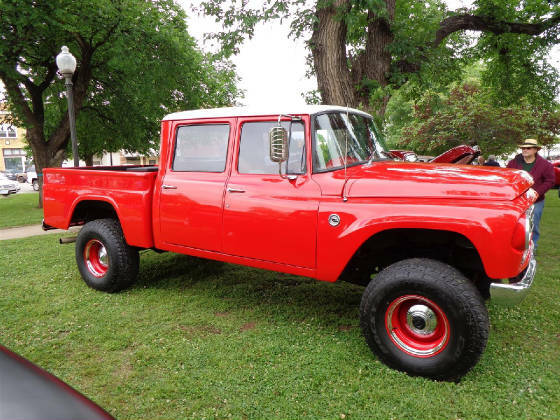 After buying the truck in 2012 from the second owner, Royce began the transformation. He converted the truck to four wheel drive using all International parts. He converted the braking system to a “Hydroboost” with front disc brake as part of the total rebuild. For the power plant Royce selected is a 12V 5.9L Cummins Turbodiesel with a Getrag five speed manual transmission. One of his friends built a custom cross member and mounts which made the engine and transmission modifications possible. The block and head for this engine were cast by International for Cummins. 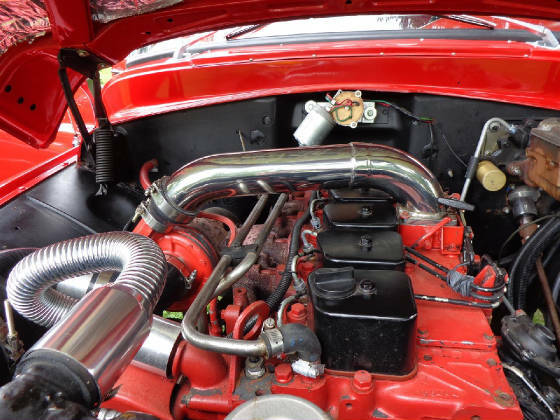 The turbodiesel puts out around 215 horsepower and 440 pound feet of torque. 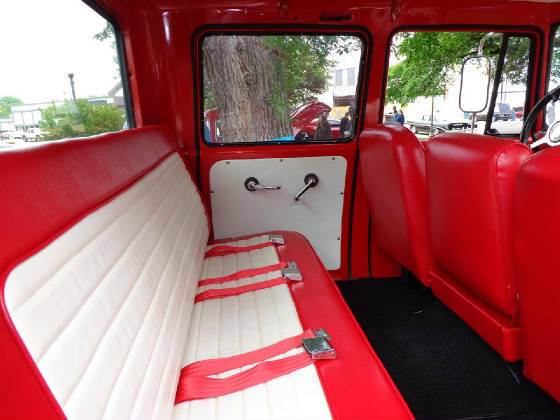 Royce shows more of his skills by doing the interior himself using a 1969 IH front seat and a 2000 Dodge pickup rear seat. Royce and a friend did all of the body work and paint. Their skills are very obvious when looking this unique truck over. 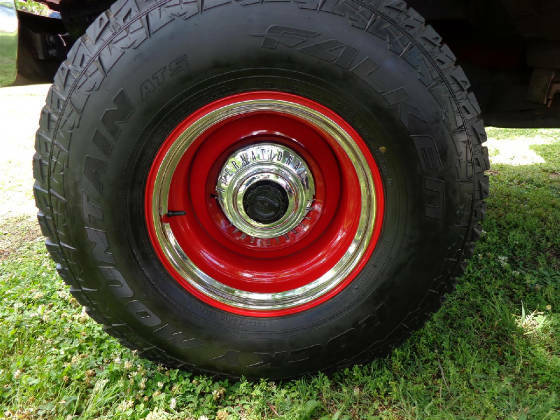 The Travelette rides on LT 315/75R16 Falken Rocky Mountain tires mounted on Wheelsmith Custom wheels with International hubcaps. The “Old” new International has a thirty two gallon gas tank will make twenty one miles to the gallon highway mileage and is driven about four thousand miles a year. 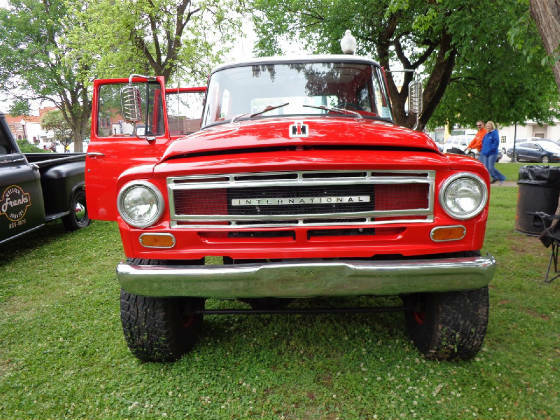 Royce says, “I have always been a pickup man and this is my twenty first International Harvester vehicle”. 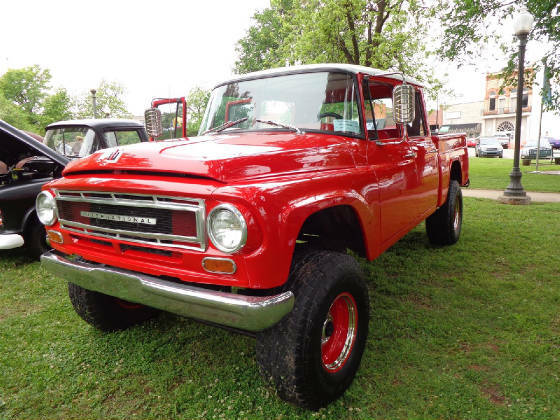 The Cimarron Starlite Cruisers sincerely thank Royce Stephens for sharing his outstanding 1967 International Harvester Travelette as our Great Oklahoma Classic for May 2016!